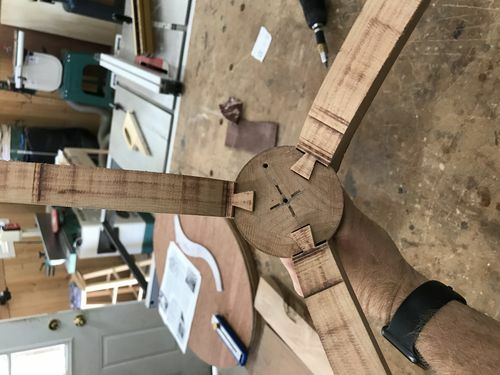 George cut it down and I milled it up! True Story! My friend George Martin last year cut down and slabbed a dying cherry tree in my back yard. 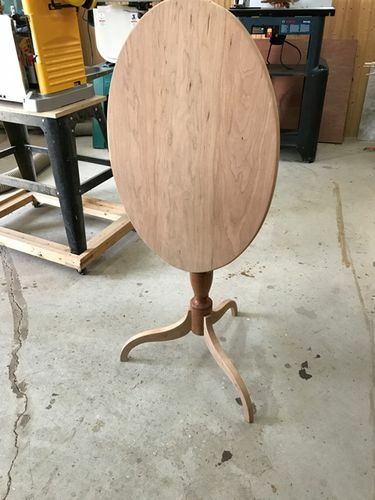 I milled some of it up into this nice little tilt top table. I based it off some pictures I found on pinterest. It is finished off with 3 coats of satin poly. Once I go them to fit perfect, no clamps were needed to glue them up. 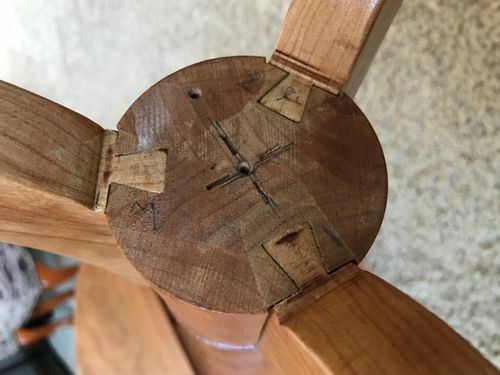 Excellent craftsmanship! In the military vanacular “Ya Dun Good!” Or if in south MS they’d say PURDY! very nice work,a timeless classic design.great job. Well done Steve. It came out beautifully and you demonstrate some fine craftsmanship. Very nice. Good work on the sliding dovetails! This is a beautiful table. It looks like an original. A beautifully constructed hand crafted table. Love the cherry wood one of my favorites. Outstanding work on those sliding dovetails. Steve, masterfully done and I think the oval top is especially eye catching. 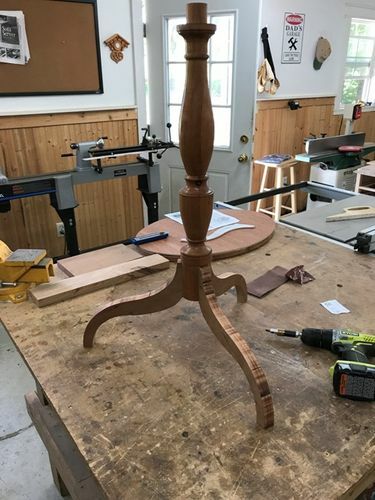 Gorgeous table and fantastic construction! I always appreciate it when people include the work they have done on their project! As usual,Steve, beautiful work. You are a true craftsman.